One’s imagination easily wanders in these fairy-tale gardens, where one wonders what surprise awaits around the next bend. One would expect to see the Easter Bunny scouting for locations to hide the golden egg! The travel website, Let’s Be Wild, marches into its third week of outdoor photo challenges. This week’s challenge is “Escape,”and with cuffs rolled back, I am delighted to share images of a real-life escape in progress here in Ecuador. Join me as I review the photos taken at latitude zero with my friends Hank & Marie! Diego Bonifaz shares the colorful story of his life, which brought him full circle from Ecuador to France, the USA, then back to the hacienda. The resident cat, tutored in hospitality skills, extended warm greetings at each meal! 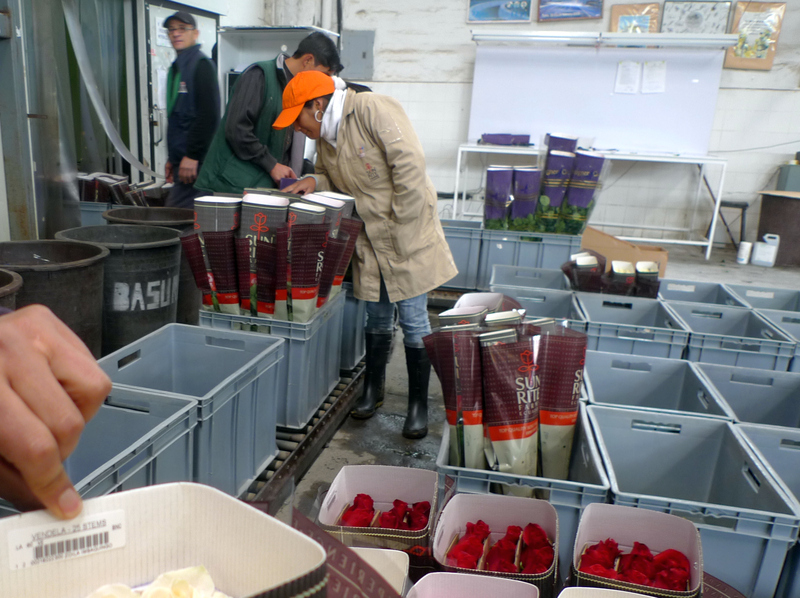 One morning, after enjoying a leisurely breakfast, we prepared for a tour of a nearby rose farm and processing facility. 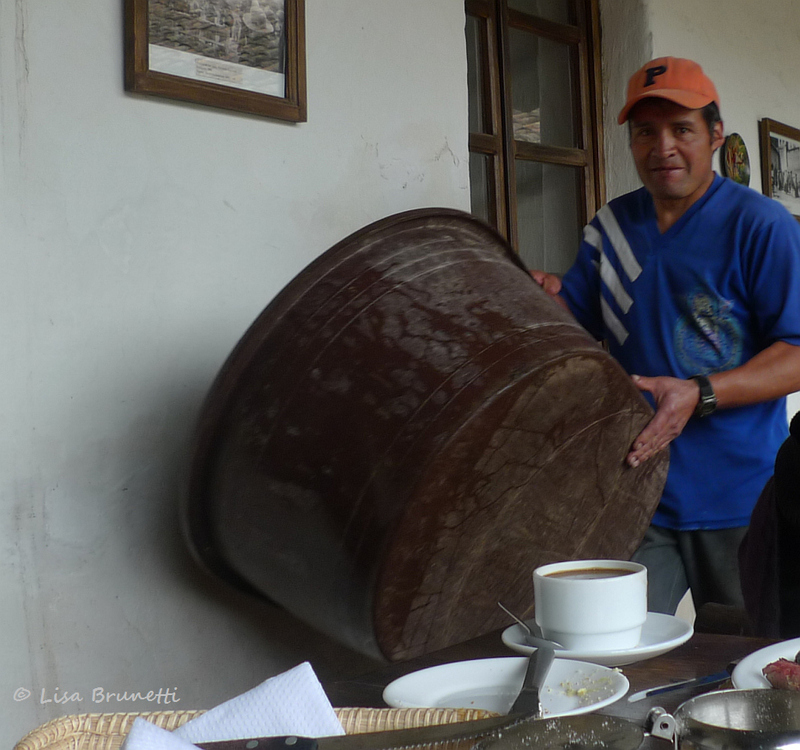 Manuel, an employee of Hacienda Guachala, offered to show us the area! Manuel, happy and ready for tour-guide responsibilities! With no pre-arranged appointment, Eduardo Jurados of Sunrite graciously gave us an amazing tour! 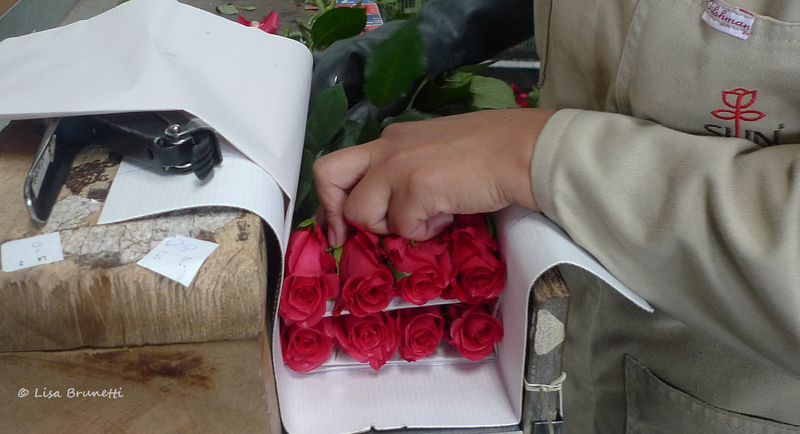 Meticulously packaged, the roses advance to the next step. Brrrrr: preparing for transfer to cold storage in the next room! A feast of color for the eyes! 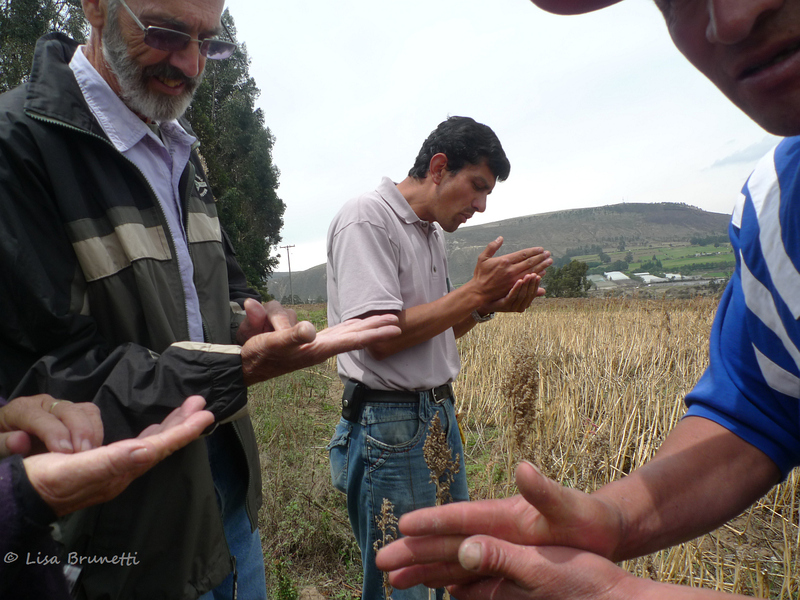 Trading contact information, we said, ‘Goodbye,” to Xavier then drove a few miles to a quinoa farm. 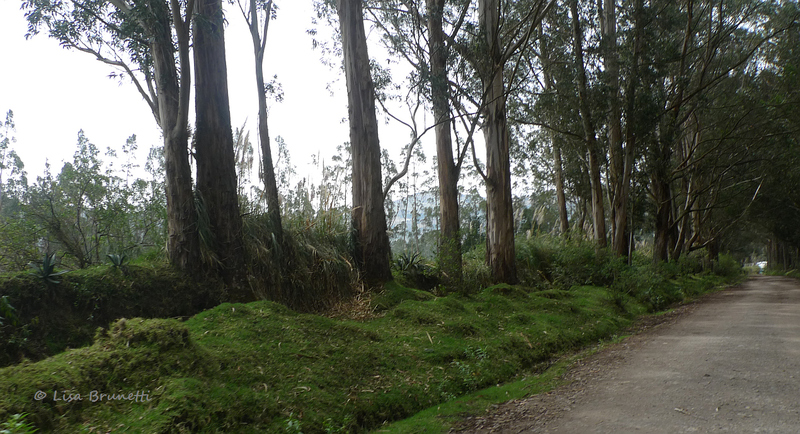 An alley of ancient eucalyptus trees guided us to the nearby farm. Stately eucalyptus trees flank the roadside. The next stop was the line of the equator. One foot in the northern hemisphere; one foot in the southern one! 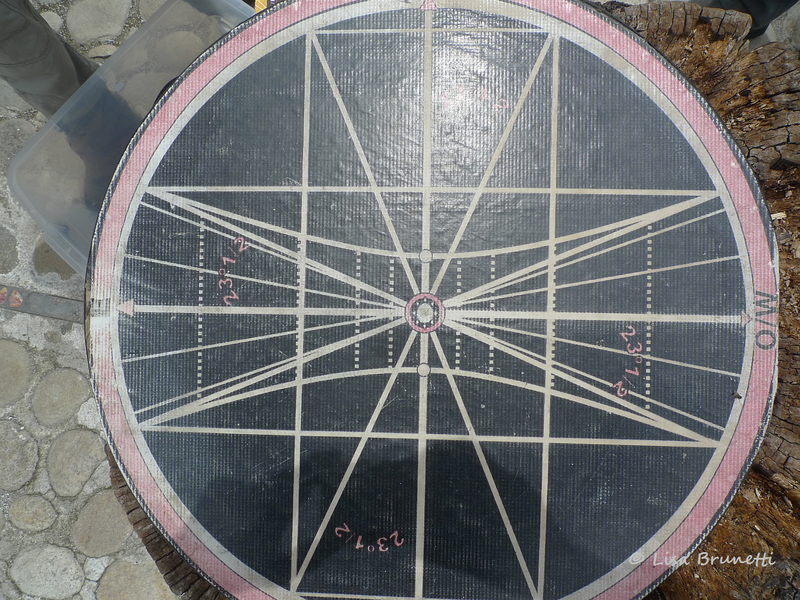 Solstice and equinox points line up with geographical points. One can see the north star and the southern cross from this vantage point at the middle of the world! Meanwhile back at the hacienda…where IS that silly rabbit? While the tourists are away, the animals will play! Inquiring minds want to know… what species is this? One never tires from watching hummingbirds. An escape to Hacienda Guachala comforts the senses. After a half-hour break to recharge our camera batteries as well as our physical ones, we drove the half hour to Otavalo for a total immersion in color! 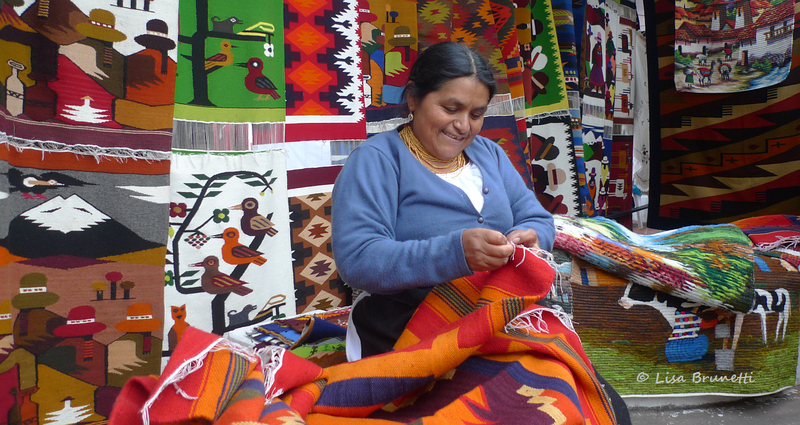 The explosive colors of Otavalo! Who doesn’t enjoy a quick escape in a hammock?! Do you think she looks forward to going to work each day? Sunset escorts us ‘home,’ and a chill replaces the sun’s warmth; we anticipate the solace of the hacienda. A pastel sunset escorted us back to the hacienda, where French onion soup chased the chill from our bodies, and a fresh fire warmed the hearth of each bedroom. There’s something magical about a warm fire on a cold night! Ah, yes, one should escape every so often and renew the spirit and soul! (Photo by Marie Groff) Thanks, Marie! What an escape! Sweaters, toasty fires, bunnies, roses, and an explosion of color. Thanks for sharing your escape with us. Awesome! thank you for such a fast comment! isn’t cyberspace amazing?!! 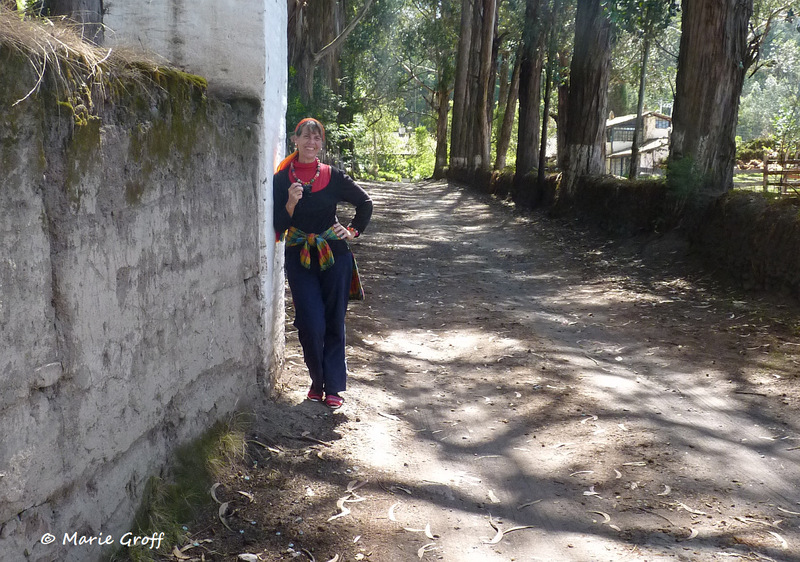 yes, i love to visit the andes, but the cold nights are fine for a few weeks, and then i am ready for the coast again! Another winner for sure Lisa! Love, love, love the hacienda shot through the foliage! thank you! there’s one shot just after that without the foliage, and it looks so generic; so sterile. i’m glad you enjoyed it! Thanks for the pics. What fun! thanks so much! it’s a great trip – each day filled with amazing sights. the andes are magical! I learned and saw so much — you provided a beautiful virtual escape, Lisa! thank you so much! there are so many photo moments, and i omitted 3/4 of the material!!! today we’re about to drive further down the spine of the andes, and we will surely take photos until the batteries flash red! Excellent photos Z! Excellent escape! thanks amiga. your escape was great too, though i regret that mine is ‘hoy’ and you are landlocked! still, your post was a great one! Love, love, love these pictures! Ready to come down for a visit. Love the shot of Hank and Marie at the Equator!!! Love! Wendy! Thank you so much for commenting! We are about to check out of the hotel and head further down the Andes. I will be sure to tell them that you enjoyed that photo! Thanks, Nancy! One problem with having property is that the travel stops and the maintenance is ongoing. I am so glad to have this opportunity to be a tourist again and enjoy this amazing country! We’re checking out soon and heading on down the andes. I especially love the photo of you at the equator–and the one following it, as well–probably because geometric images fascinate me. Glad to hear you got to escape. Looking forward to the next chapter. How beautiful! I really enjoy this pictures now I want a hammock ;). ha! i bought a new hammock last week while traveling with friends! it’s a beige all-cotton hammock, and i plan to paint — something on it, though right now i have no clue what that might be! What a delightful post, Lisa! Loving all the color you captured on your adventure! i love the color that the artisans use as well! inspiration is everywhere! Cafe con leche, roses, hummingbirds, eucalyptus, haciendas, brilliant colors, friends, one foot in and one foot out. I enjoyed this post tremendously (and with envy). When I hit the lottery, I WILL TRAVEL! your strong positive spirit shines through your comments! i hope that you will be able to visit at some point! thanks so much for putting a big smile in the comment box! Thanks for bringing back fond memories of two trips to Ecuador. The cool evenings and warming fires and color, color, color, everywhere.Lovely pictures.Am glad to see some photos of you on this great escape! Yes, thank you Marie. marie and i are catching up on internet after having a nice breakfast. i read the comment to her, and she laughed and said to tell you, ‘you are welcome!’… she and hank spent most of their lives in penn, so they’re getting storm damage reports from family. you gave her a great smile! Ah, dear Rosie! If wishes were horses, beggars would ride, and Rosie would be soaring toward the equator on her sweet wings of goodwill! I am glad to give you a taste of life here, where for me, less is more. while we travel, of course, the reality of costs slams us from many directions, but there are also sweet contrasts that iron out those wrinkles. marie is honored that my friends are enjoying recent images of the zeebra woman, and we have some whopper funny ones to share. the biggest problem right now is finding time to manage photos and share the stories! i find myself falling asleep while working on images or naming them bizarre names because i fall asleep mid thought! soon, there will be more posts! I thoroughly enjoy your travels, your narrations and the pictures. You have a very colourful life, in the true sense. You too have learned to see beauty everywhere and your artist’s eye most likely works at all times as well! Love your story and the photos !! 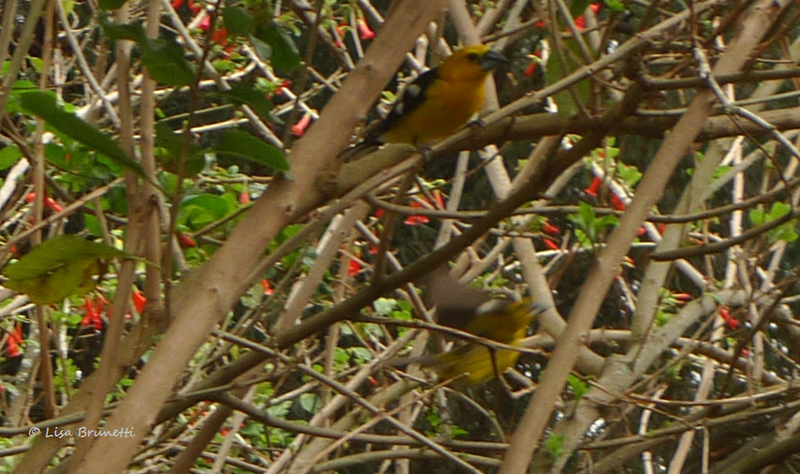 Checked our birds of equador field guide and your yellow beauty could possibly be a yellow grosbeak.. closest match I could find. I am not surprised, and so very much appreciate you taking the time to help with the bird ID. Will give you warning when we get closer! sure, you had a great time. 🙂 I wanna try that cafe con leche 🙂 The place is wonderful. 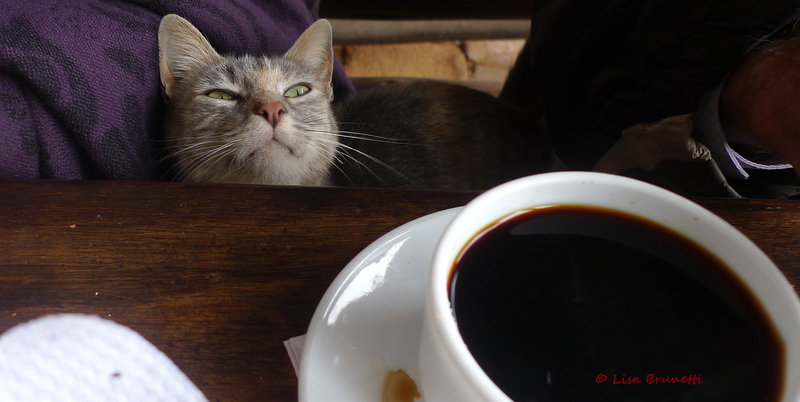 Ah, cafe con leche with sugar is like drinking a dessert! 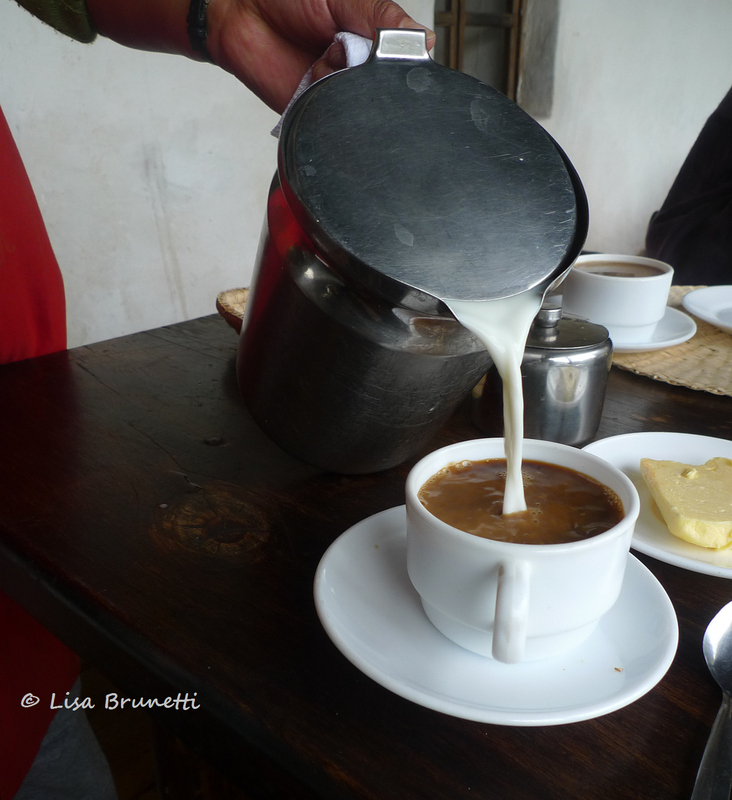 The milk is served hot as well – in fact some places bring a cup of hot milk and give the instant coffee option, so you can make it as leaded as needed! I work with ESCoffee out of Guayaquil on their arts platform, and Miguel would be proud that I’m drinking coffee throughout this trip! More posts soon, but I usually fall asleep while managing photos each night! Tis a nice problem to have! you are tireless in your support, and i have been quite lacking in getting to any posts as we travel our way through the country. i am missing your doses of dry wit while keeping informed on what’s happening in the world. my pennsylvania friends are touching base with their friends and family to see how they’re weathering the storm. sounds very spooky. I had to revisit this blog. I just finished a bike ride in sub-freezing temps and needed to warm up! Thanks, as always. Brrrrrrrrrrr. I don’t do well in freezing temps! I’m glad you got a dose of the tropics to counter the effects of the bike ride! Wow…so that bird looks very much like a “black-thighed Grosbeak” check it out. Love your pictures Lisa and the rose factory was fabulous! what an incredible job they do. Were your ears just burning?!!! Hank, Marie and I are sitting in the breakfast area of our hotel while we catch up on internet while making random comments to each other. I interrupted their internet focus to tell them about the three people/friends that were natural and prolific writers who i thought would make great bloggers. john and mary have made that plunge and are soaring with their posts. i predicted that you would do the same, and that the world would love to see your slice of paradise, meet your random guests and enjoy samples of your culinary world! hmmmmm. 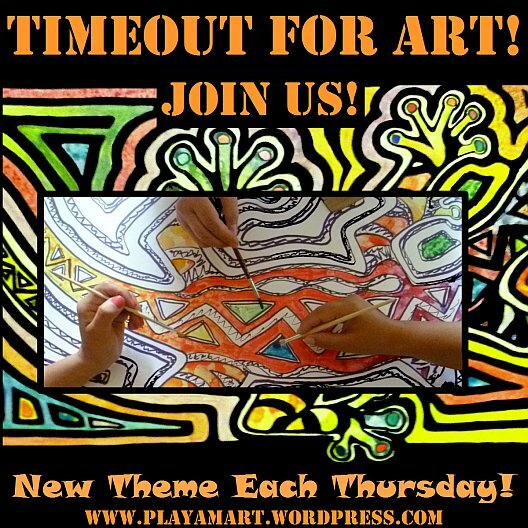 come join us at wordpress! i’ll bet many of the comment folks would like to know more about sweet gwen who gives lovely comments to most of my posts! Thanks, also,, for the help with identification!!!! The cute birds knocked on the windows each morning to ask why we weren’t outside embracing the day! Thanks, Nick! So sorry I missed the Water’ challenge; my mini laptop rolled over and refused to bbot up on the last week of travel, and i am now home with about 15 g of images to wade through as well as enjoying the great posts! The winning images of water are great ones! I was amazed to see so many similarities – the eucalyptus, the hummingbirds, the agapanthus. And then there are the differences. Certainly the equator counts there! I love the thought of being able to see the north star and southern cross from the same vantage point. I’ll never forget the first time I saw the southern cross – the Crosby, Stills and Nash song captures the experience perfectly for me. 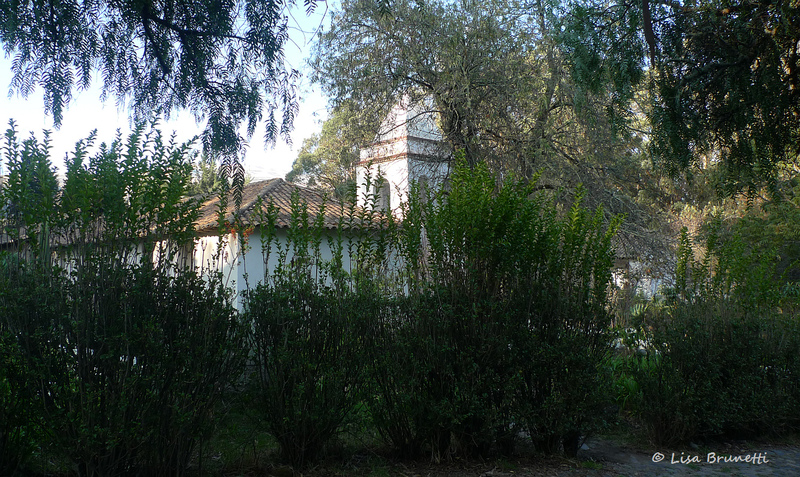 I could spend happy weeks at Hacienda Guachala. My favorite photo is next to last – there’s something so compelling about a view into a fire-warmed room. Oh – and I forgot, during my recent trip, to take a photo of the art hanging in a tiny motel in Cottonwood Falls, Kansas. Molas! They were nicely framed and quite lovely. I suspect they landed there because the people who purchased the motel some years ago were orginally from Galveston, and my guess is they did some traveling in your part of the world at one time. Still, I had to smile. I never would have expected to find a bit of your world in the middle of rural Kansas! marie and hank are now back in costa rica, and i am home sweet jome on the river. the minilaptop/burro refused to work another hour, but held on for most of the trip! although we toured the rose facility and trekked through the quinoa fields, we did not have enough time to tour the agapanthus farm/facility. i could visualize a vast vista of stately blue/purple flowers, and i now have a carrot of a different color to tempt me back to that area! yes, the hacienda is one of my favorite places to visit – there’s a ‘feeling’ there that affects me on a subtle level, almost one of belonging, of entitlement, of cell memory, if that makes sense. yes, it was always comforting to return from dinner and see the flickering flames of the fire. i’m not surprised that you appreciated that image! i see that ‘our’ artist friend, redtreetunesm is having an amazing final quarter of the year. thank you again for bringing his work to my attention. What a great trip you had with friends! 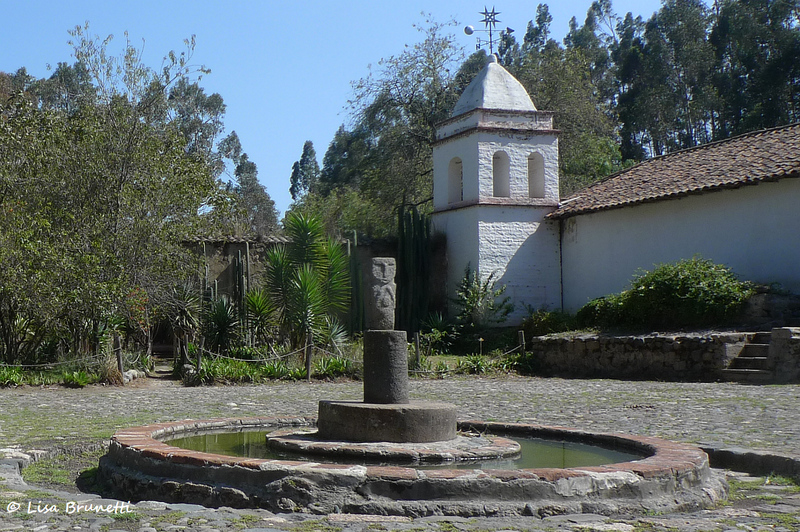 Going to Hacienda Guachala seems like something I should put on my list of things to do. Sometime. I have always wanted to visit Ecuador, but so far haven’t made it. But I know I will one day. Fun to be able to experience to have one foot in each hemisphere of the earth. You would surely feel right at home at Hacienda Guachala! Hank, Marie and I were the only guests, and the quiet mood/tone was as if we were having a quiet visit at home. Daylight found me tipping outside and then shocked to see frosty breath as I roamed the early-morning gardens. Brrrr, the Andes are great for a few weeks, but I do appreciate the warmer climate on the coast! Ironically, I live due west from that area, and the line of the equator is not very far up the coast. Perhaps that explains the magic of this area! Thanks! We had a great tour of the Andes as well as a fast sweep along the coastal areas along the Pacific. The cat was sweet and very loving. The last time I stayed there, a cat mysteriously appeared in my room in the middle of the night and curled up on the bed! The doors were shut/locked, and a fire was in the fireplace. It must have sneaked in earlier and hid beneath the bed? For a lover of old houses/buildings, the hacienda is always a tonic for the soul! my every night adventure: our cat mysteriously appears in our room in the middle of the night and rests on my breast! Ah, that onion soup is amazing. Marie, Hank and I feasted on onion soup more than once during our travels, but no one does a better job than the Hacienda’s version! Yes, Ecuador is very special, from snow-capped mountains to the steamy Amazon to many micro climates along the coast. Where I live on the coast, temperatures rarely get higher than the 80’s or lower than 70.
i can work all day with a shovel and wheelbarrow and rarely break a sweat! it’s a joy to live here! An escape I hope to follow. So now I close my eyes and imagine I was also there, mesmerized by the beautiful images before me. Thanks for the amazing, unforgettable adventure. ecuador’s andes are pretty amazing! we had a great trip! i have enough photos to keep me busy on wordpress for half a year! What a wonderful trip. From smelling the roses to admiring the handcrafts, and then that glorious sunset. Thanks for sharing. yes, we had an amazing trip! two weeks, and i don’t think there was one irritable moment! it’s rare to have such perfect traveling companions! Beautiful photos. I especially loved the ones with the roses. I am a florist and often wondered about how they were grown and processed. And, yes, they are meticulously arranged in their packaging which always amazed me when I open them. Thank you for sharing your adventure. Wow! You would love taking the tour through that facility. My friends and I were amazed at how many steps and how many hurdles a rose must clear before being sent your way! 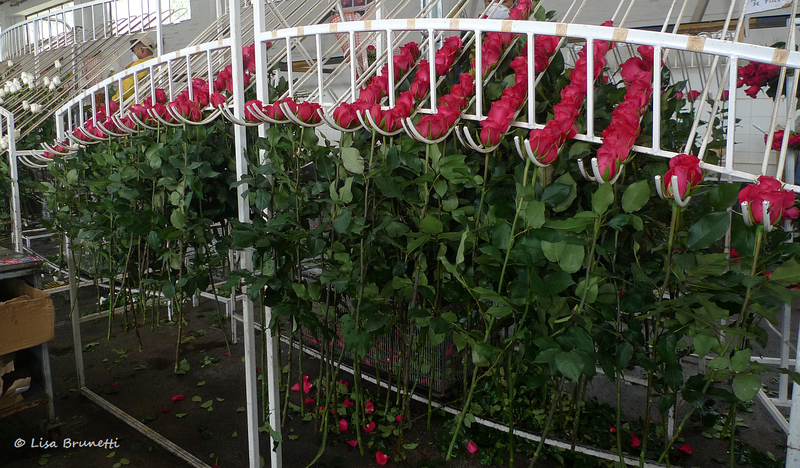 The roses are also grouped according to rose length.. the country that requests the longest stems is Russia! Any blemish like a black-pepper-like dot will put the rose in a different queue. Ironically, the cut flowers for sale in Ecuador are usually the rejects!!! Everything looks so comfortable, inviting and serene. I love the roses. And I am in awe with the cat and the hospitality. yes, that was a sweet sweet cat! thanks so much, and i am glad you enjoyed the post. thanks for liking/commenting on so many of the posts! Beautiful beautiful pictures. Your love for the place is so evident. Its amazing! I love them. You have a great photographic eye! Thanks so much! Although I am most comfortable at sea level when temps rarely go below 65 or higher than 85, I love those trips to the Andes! 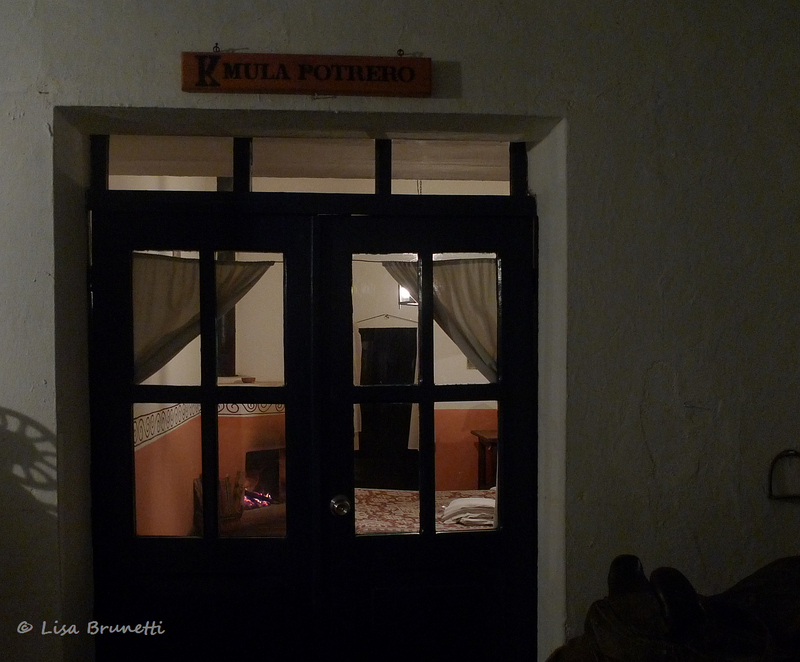 Oh wow, thank you for the great post, I stayed at the Hacienda Guachala in Feb 2007, and it’s totally a special place. Thank you for bringing back great memories! how great! i am glad that you liked it as well! i always have their onion soup – oh so comforting on those cold evenings! i’m thrilled to know someone else who has stayed there! A fabulous way to visit Ecuador, for those of us unable to go in person! Thanks for your wonderful tour. I can’t wait to go! 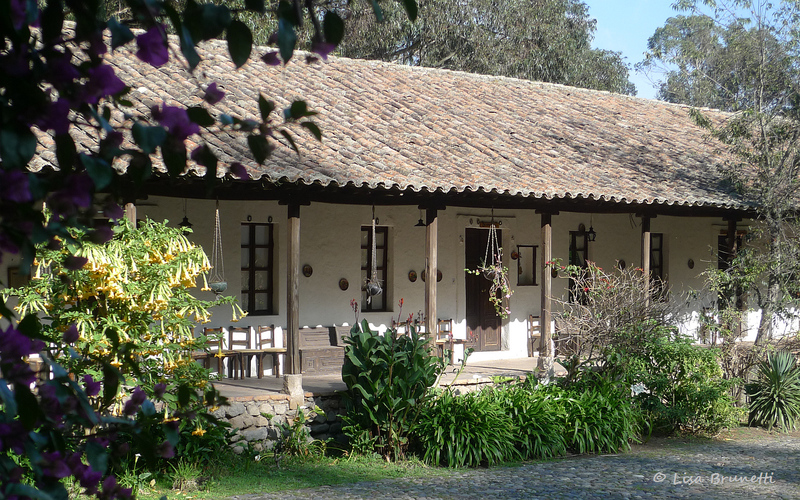 Hacienda Guachala might be a bit too ‘earthy’ for some, but it’s more of an authentic place, and I love staying there. I’m glad you enjoyed the post. Thanks!